El Iskandria is the most famous and cosmopolitan city of Ottoman Egypt in the 21st century. Ashraf Bey travels there to escape an American prison, but ends up the main suspect in a murder, hated by the woman he is supposed to marry and responsible for the welfare of a nine-year-old cousin... 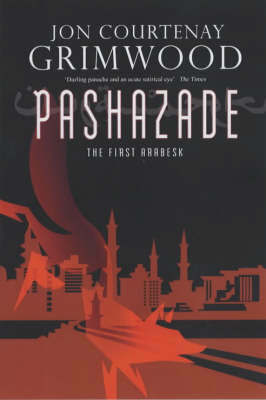 In a world where Germany won the First World War, in a world where the Ottoman Empire still dominates the Middle East, in a world where Zeppelins drone overhead...Ashraf Bey has to survive and discover answers to questions about himself and the city he has come to live in. The answers may be factually accurate, but are they true?